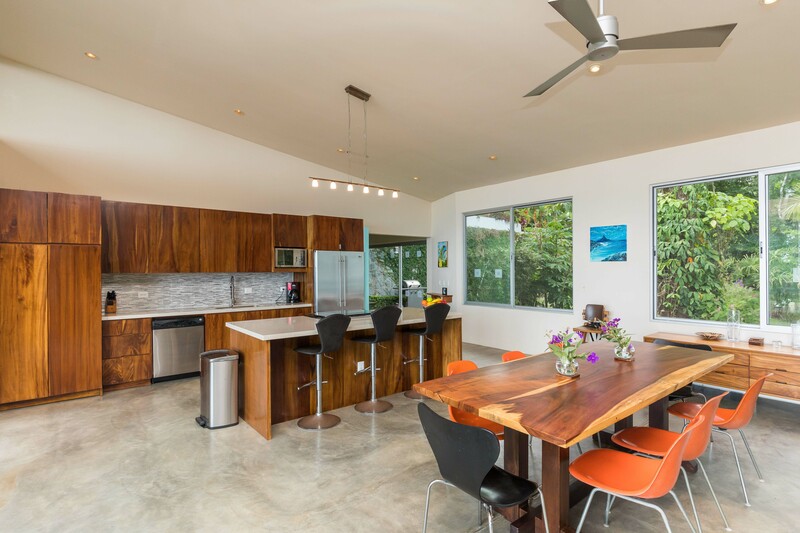 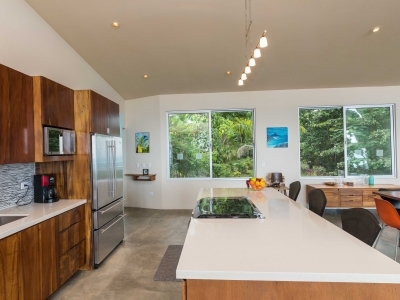 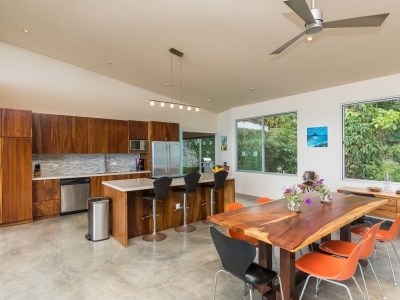 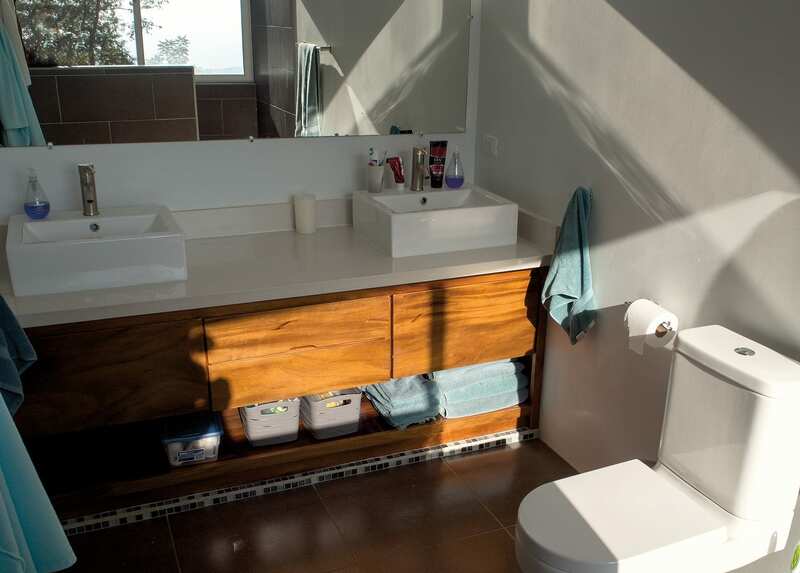 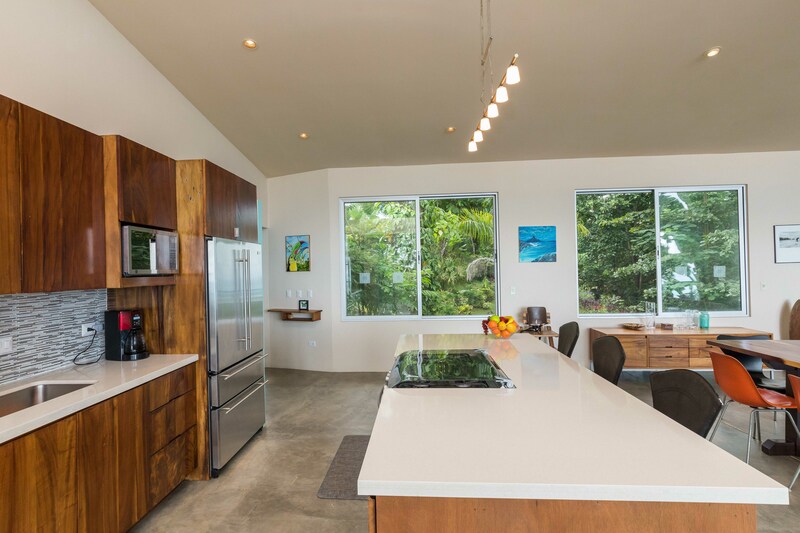 1.65 ACRES – 4 Bedroom Modern Home With Pool And Incredible Whales Tale Ocean Views!!! 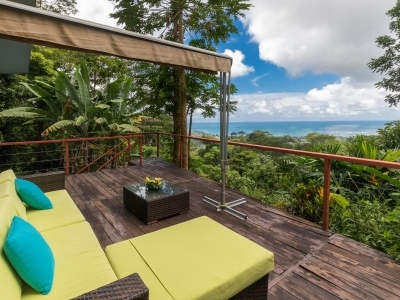 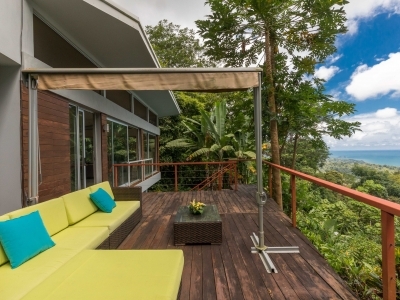 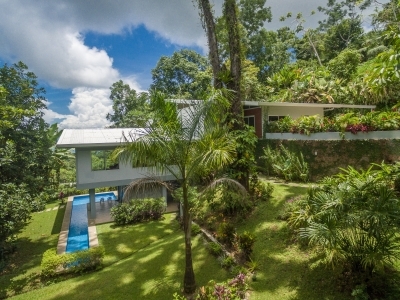 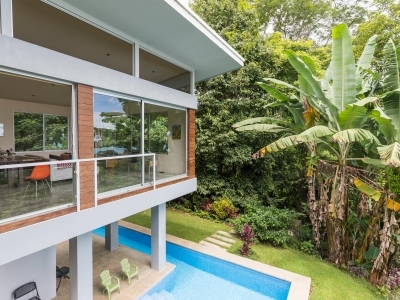 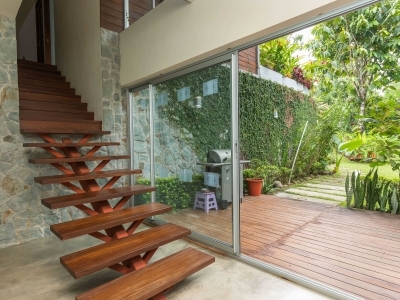 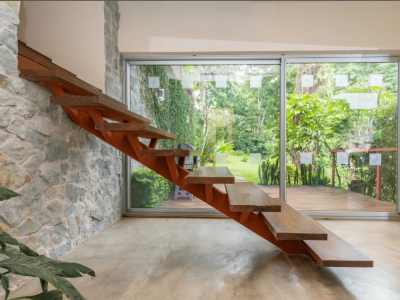 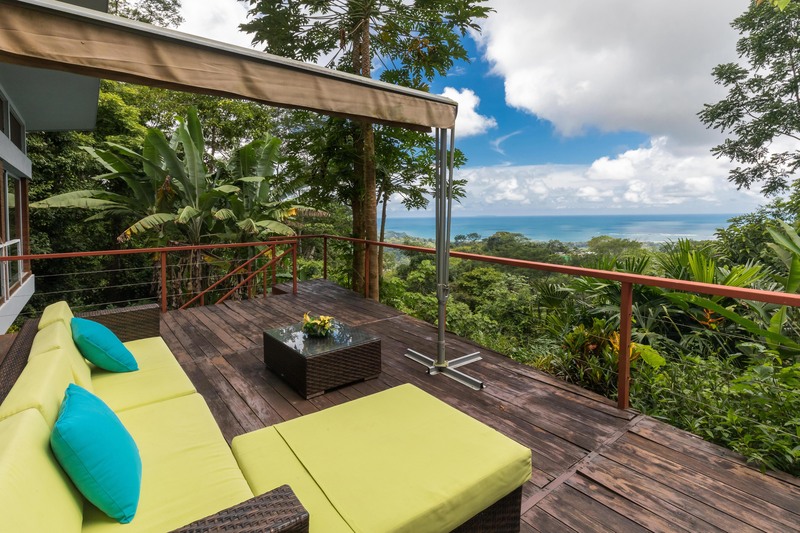 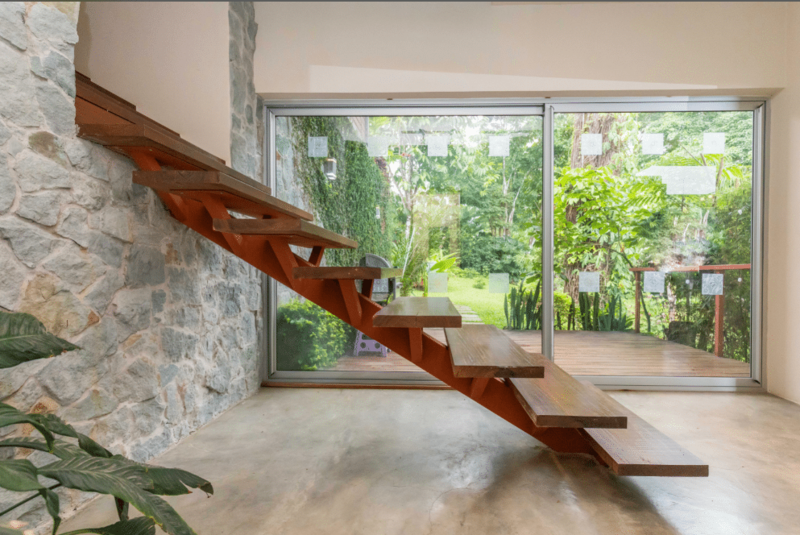 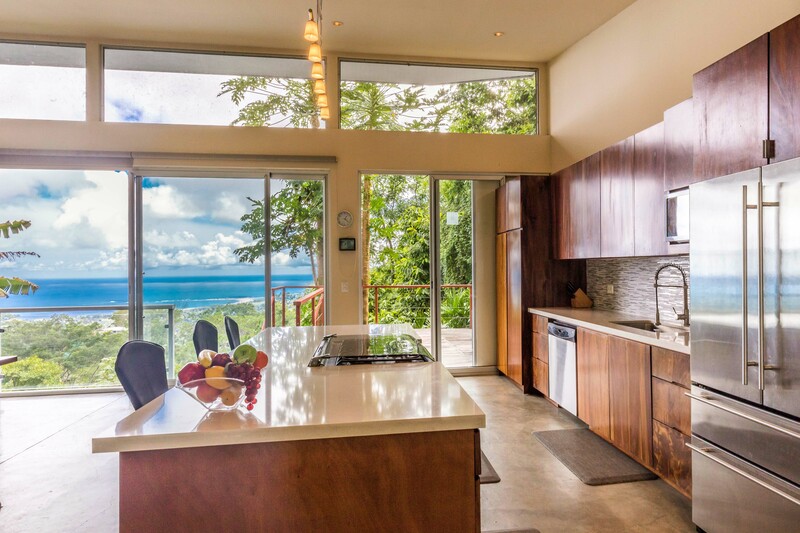 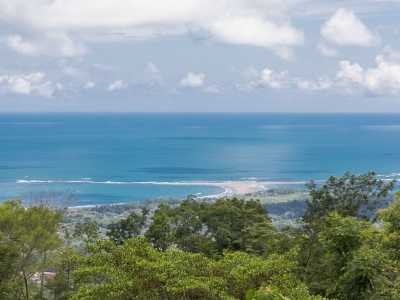 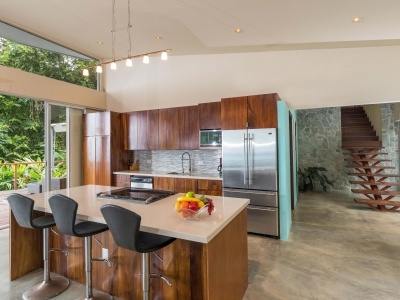 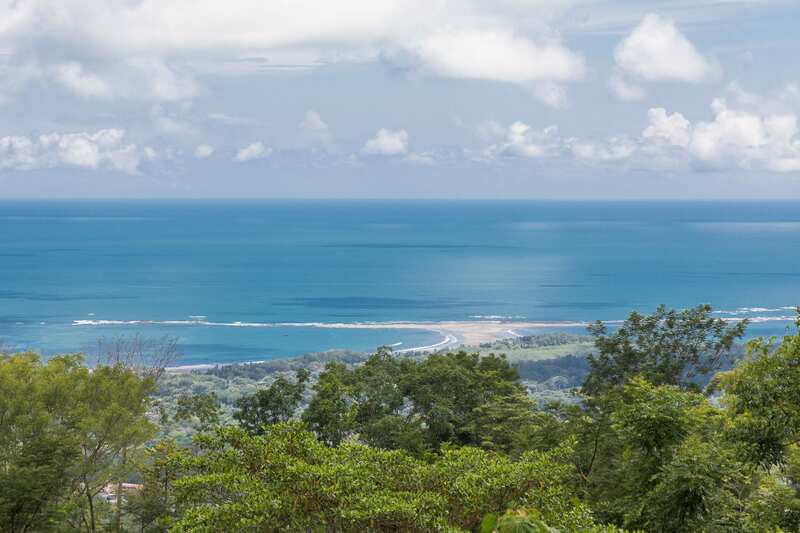 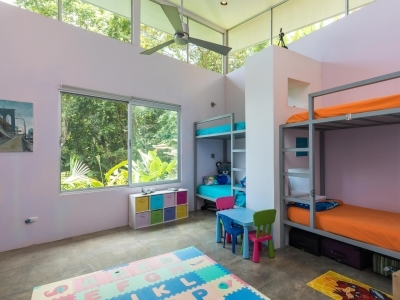 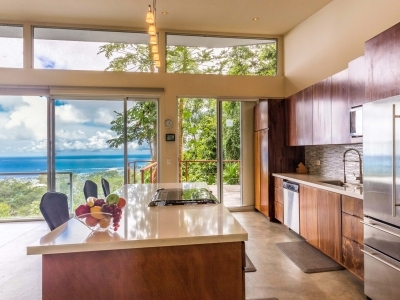 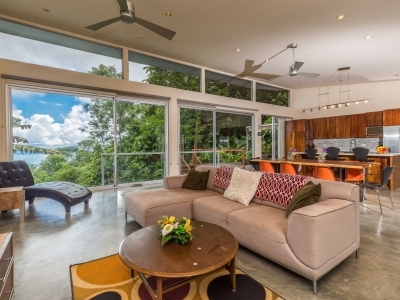 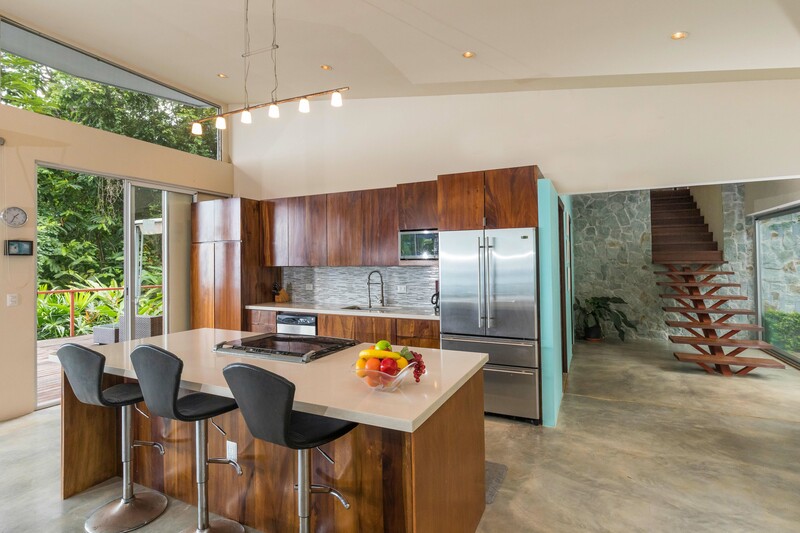 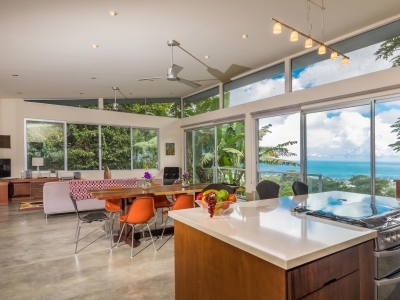 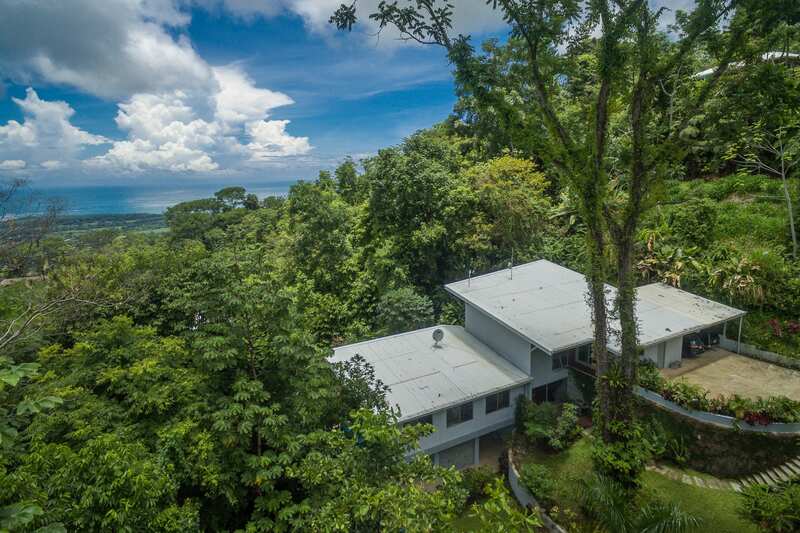 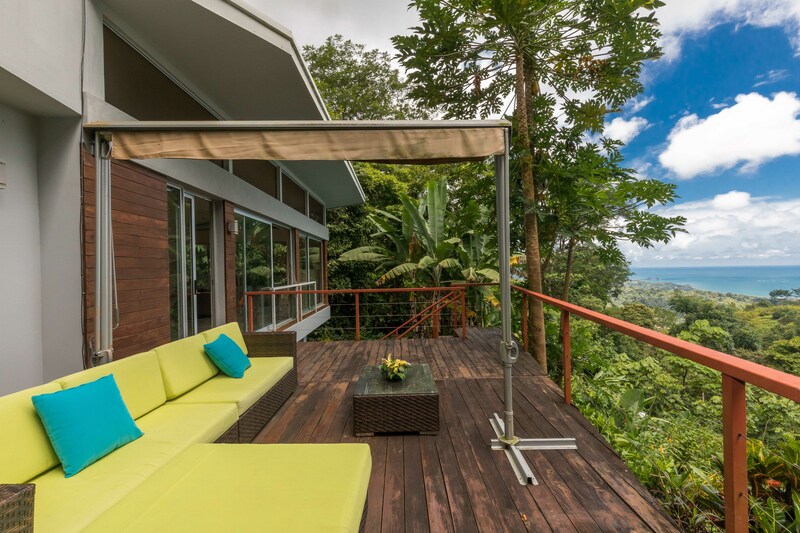 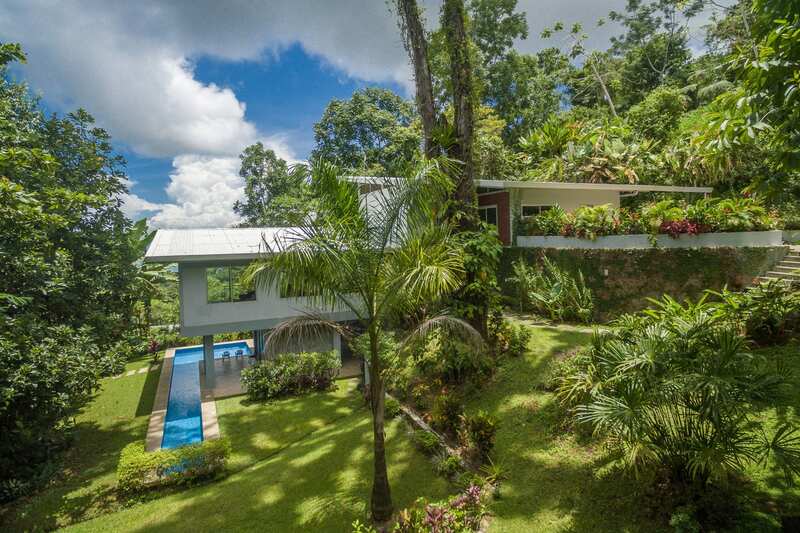 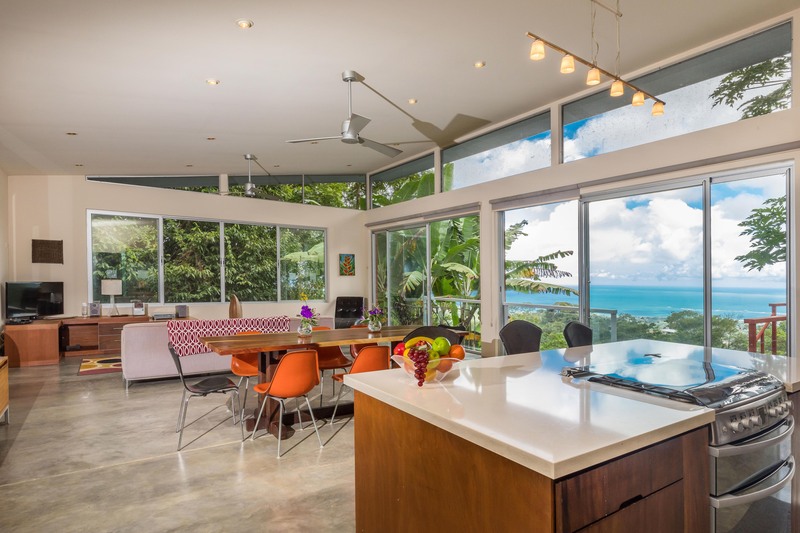 Built in 2014, Casa Cocobolo is a luxurious four-bedroom “jungle modern” house designed to maximize the panoramic views of tropical jungle, sea, and sky. 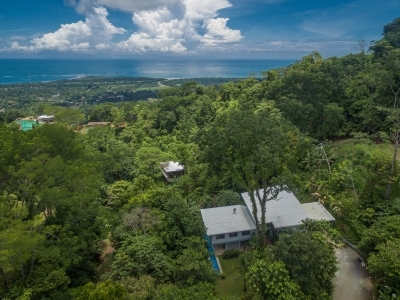 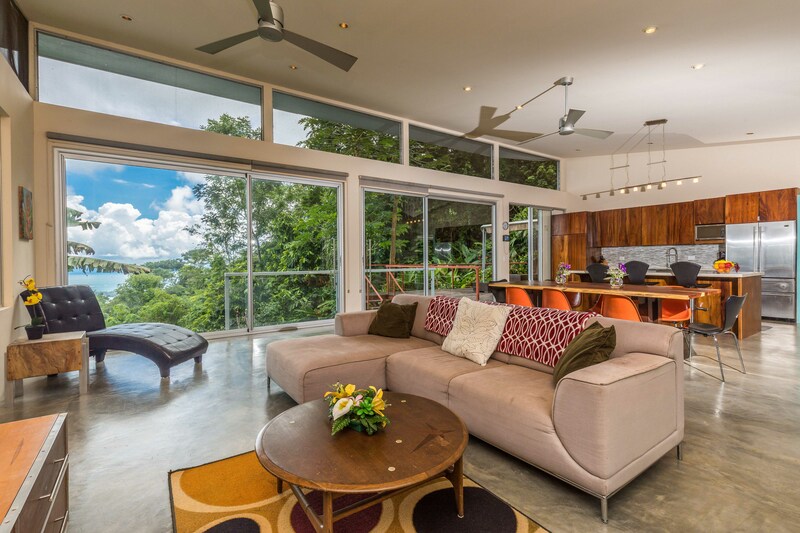 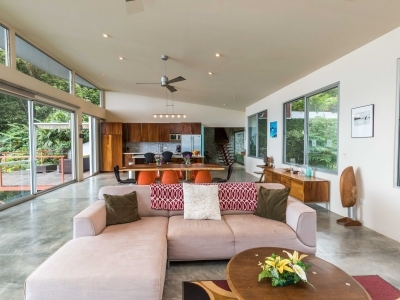 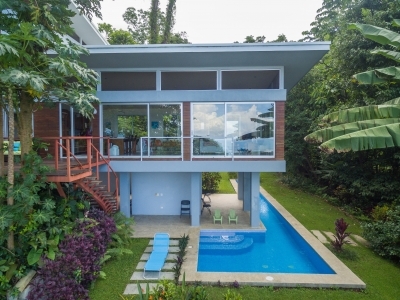 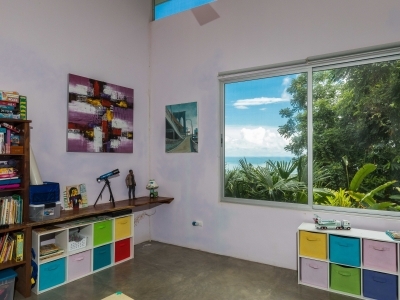 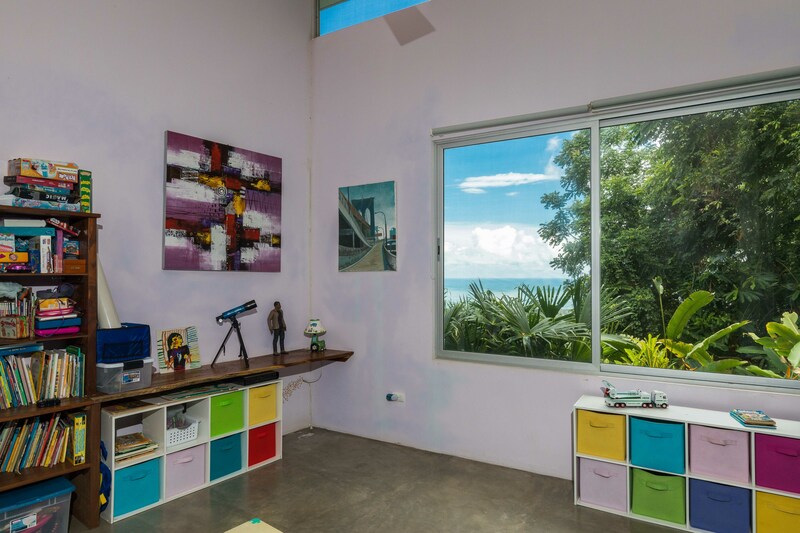 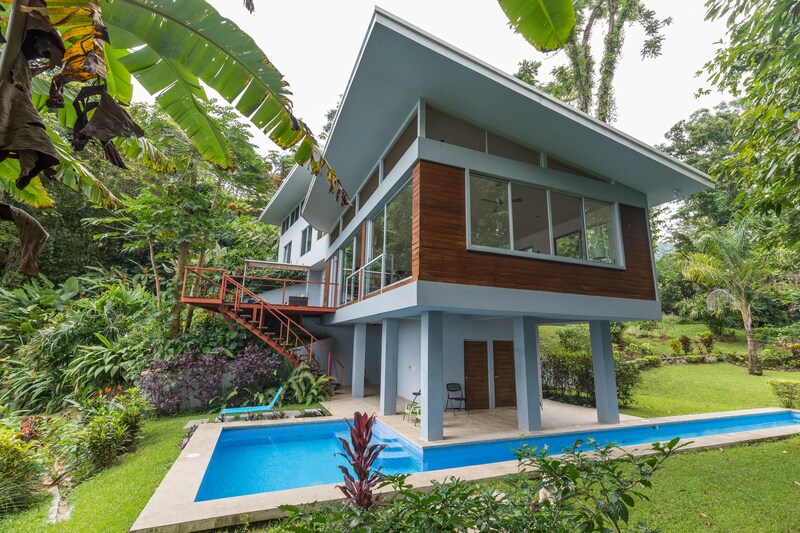 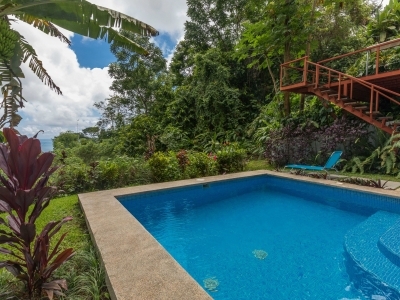 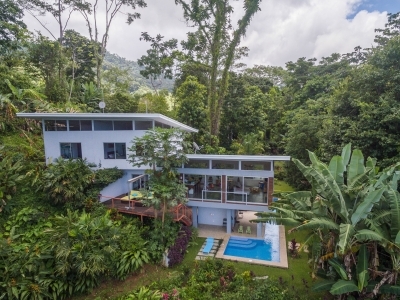 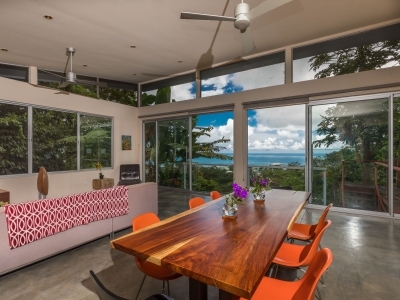 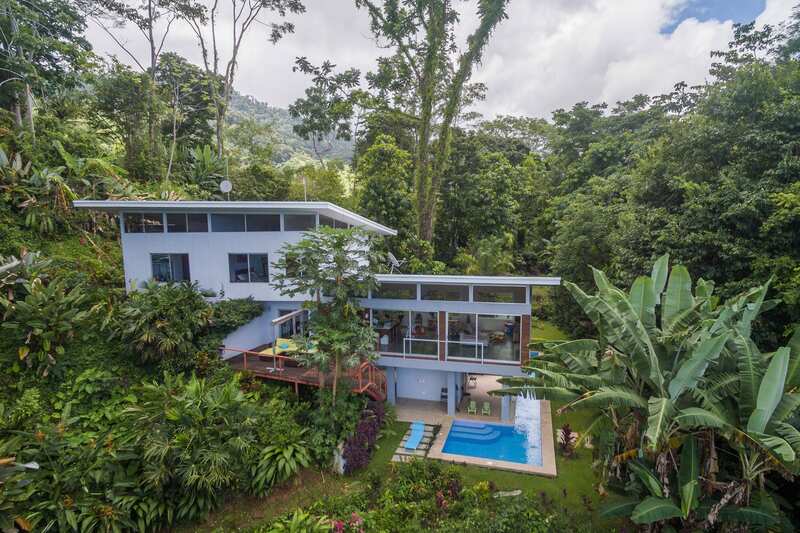 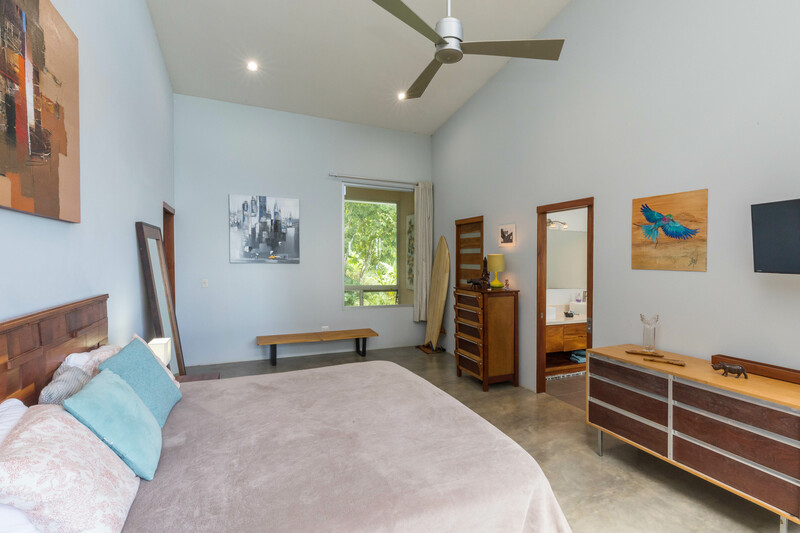 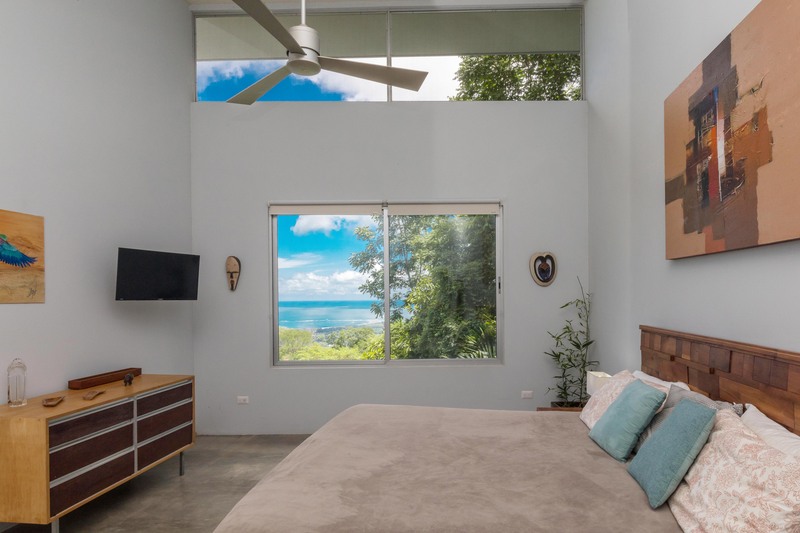 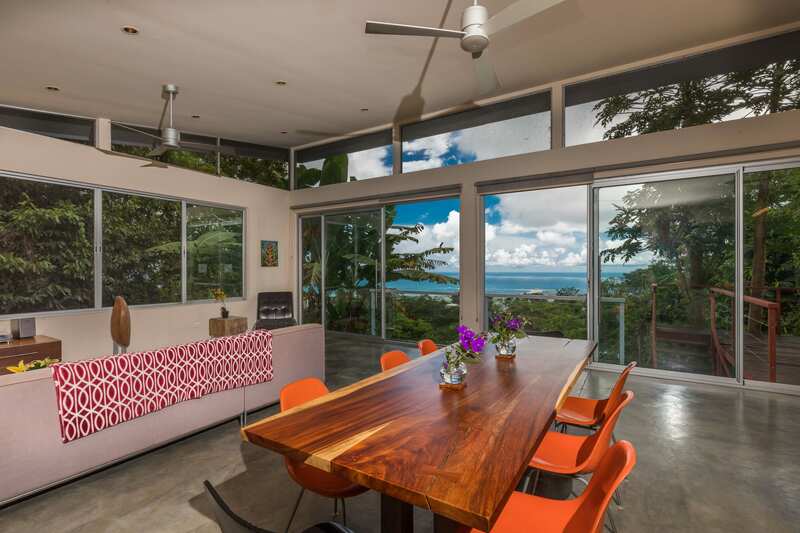 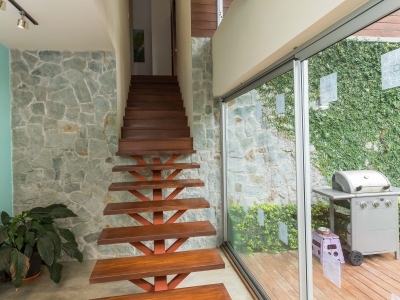 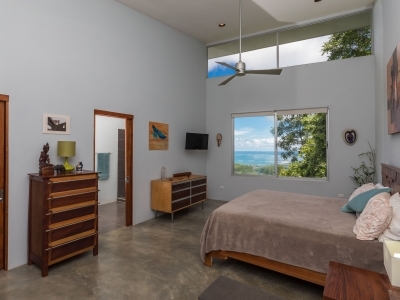 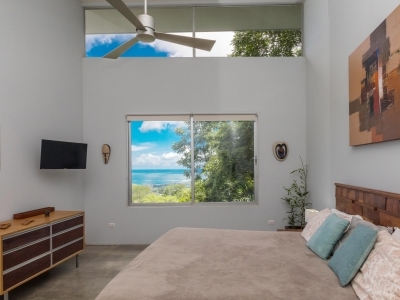 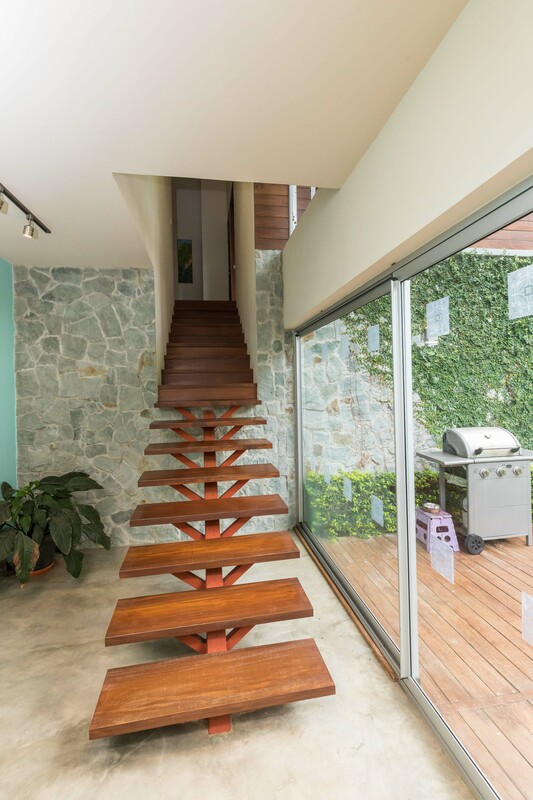 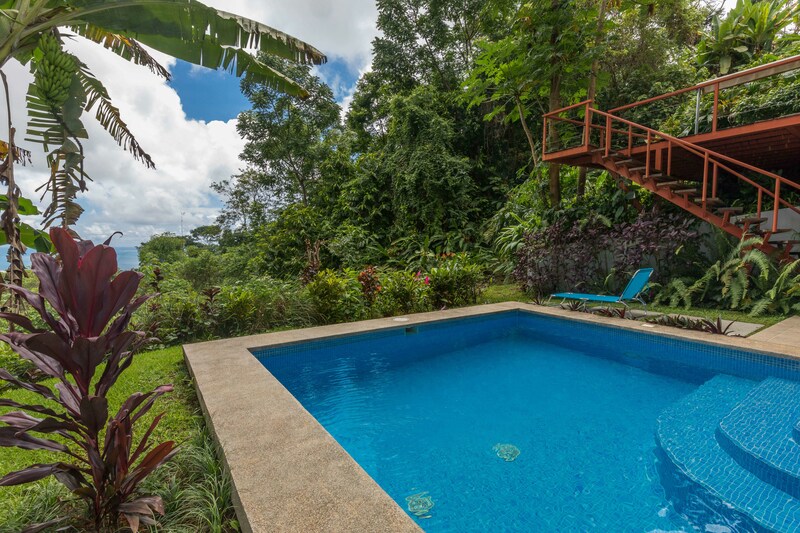 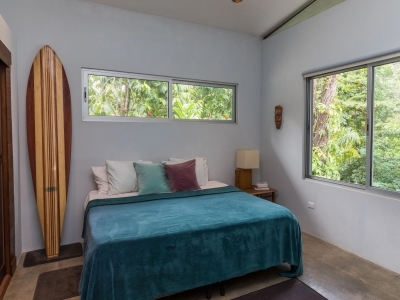 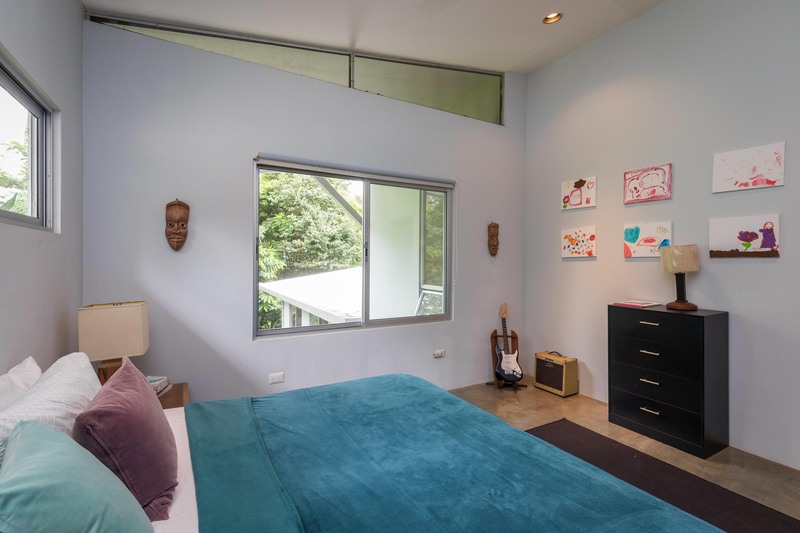 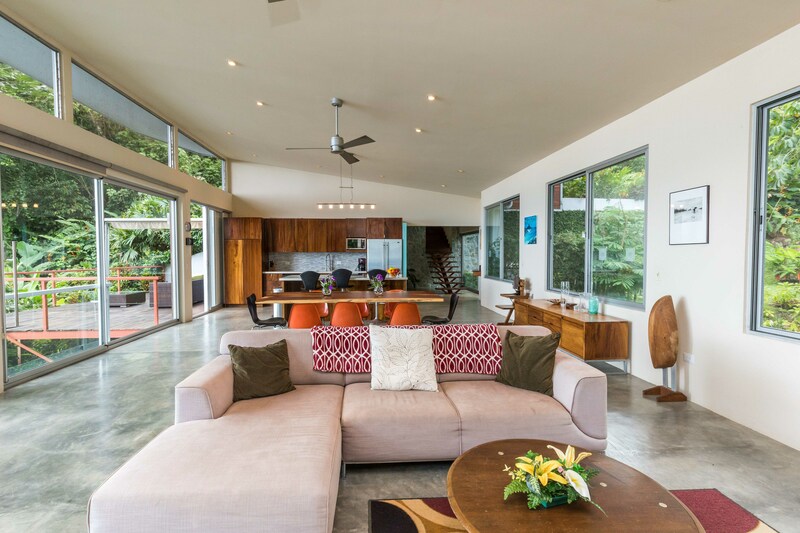 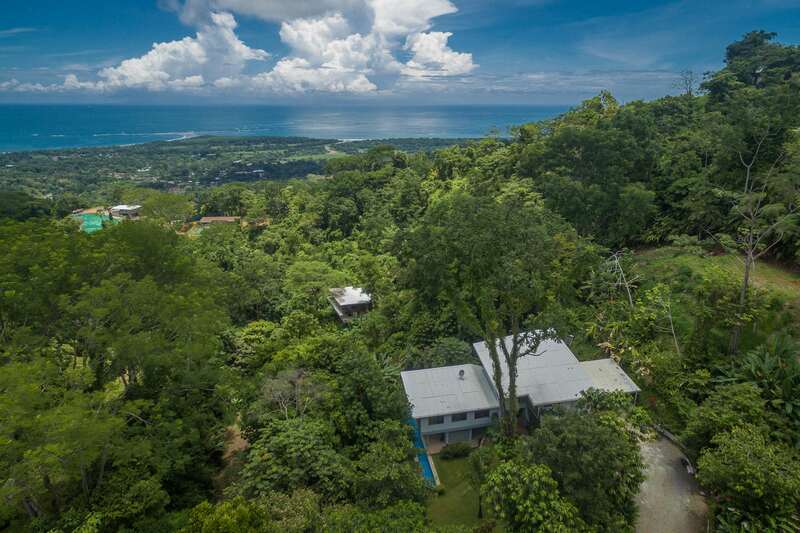 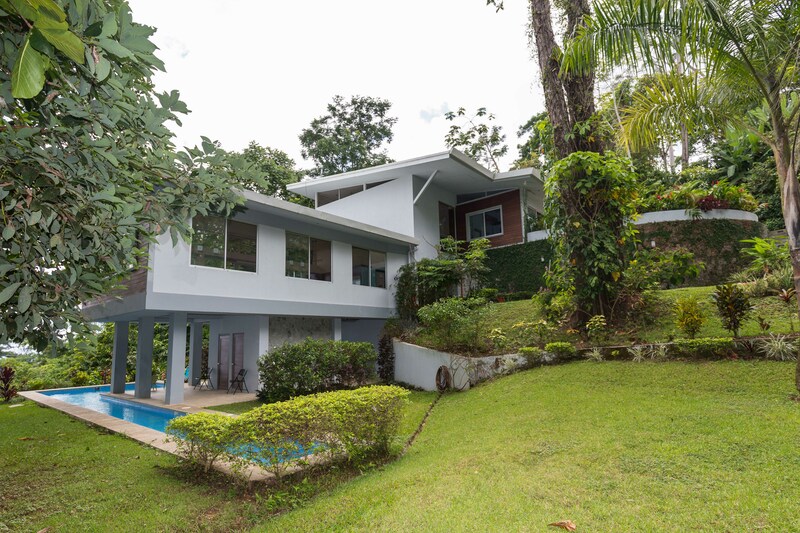 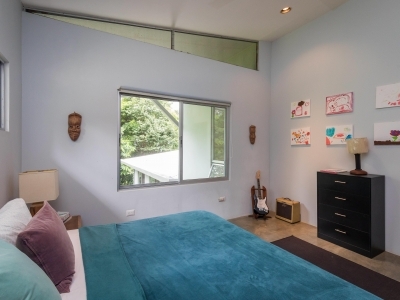 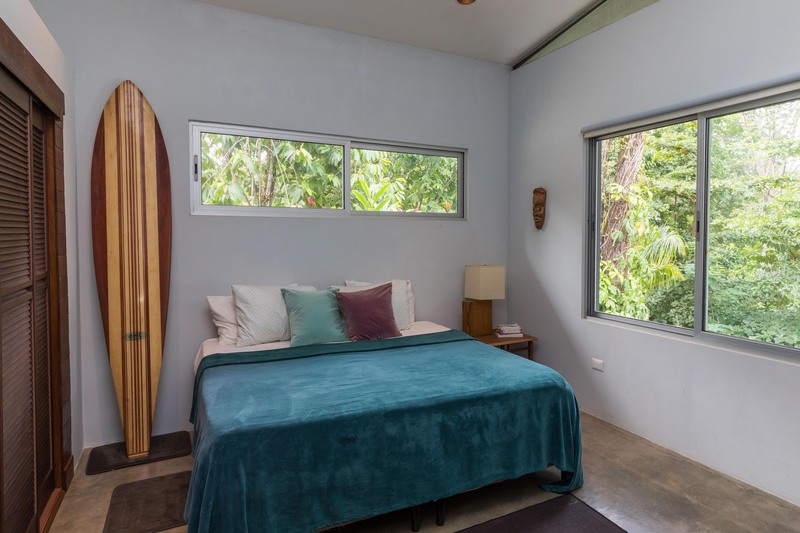 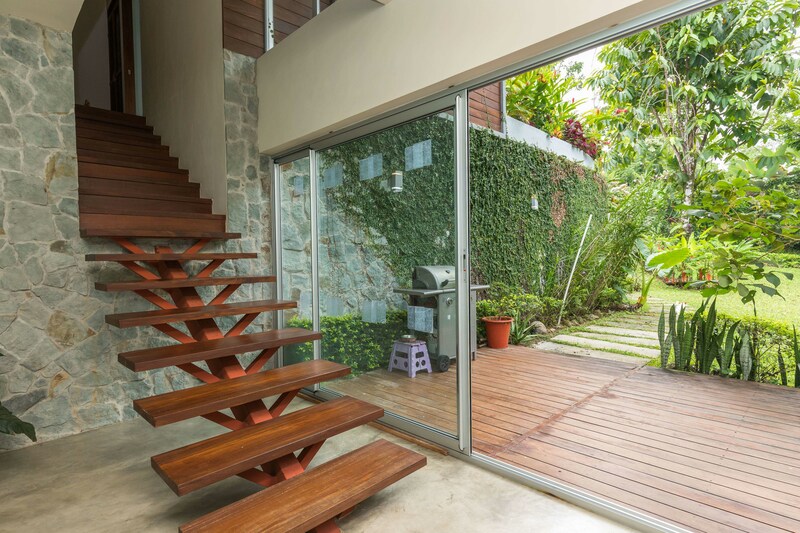 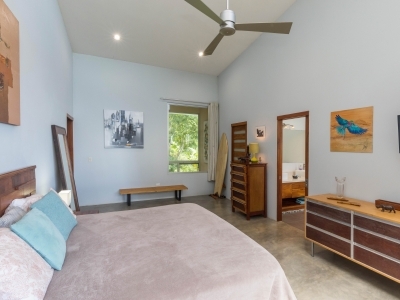 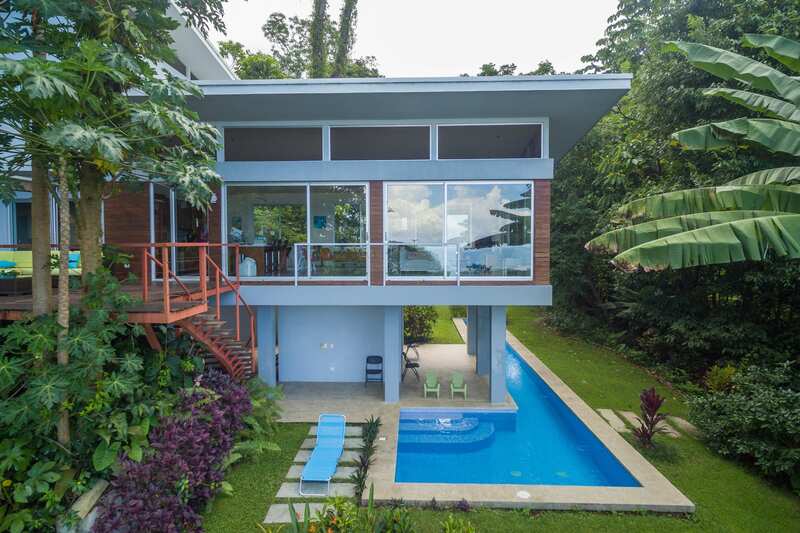 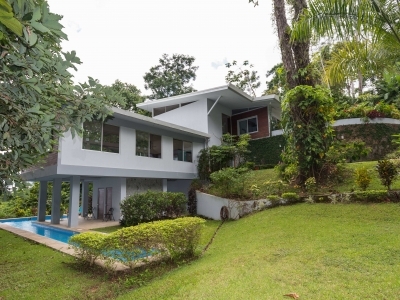 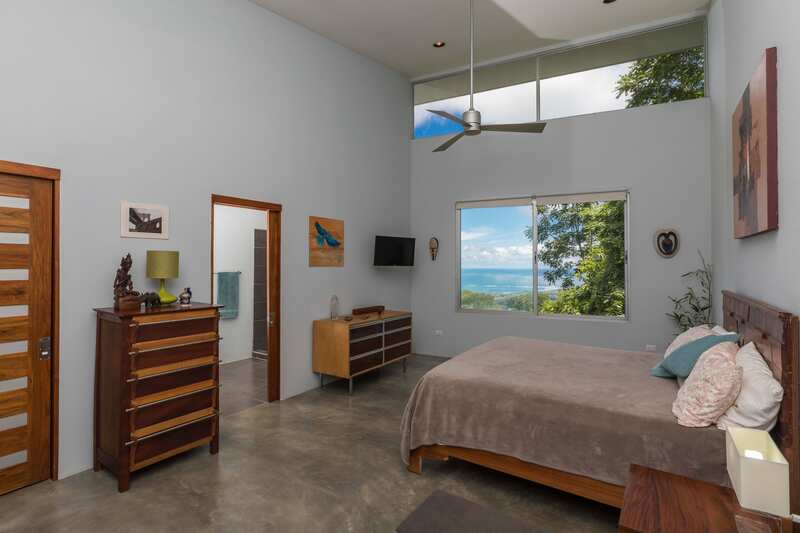 Set in the hills directly above the center of Uvita, the house offers not only dramatic views of the Whale’s Tail, Caño Island, and Isla Ballena but also wonderful non-stop breezes that make the extra expense of air conditioning (and its environmental impact) unnecessary. 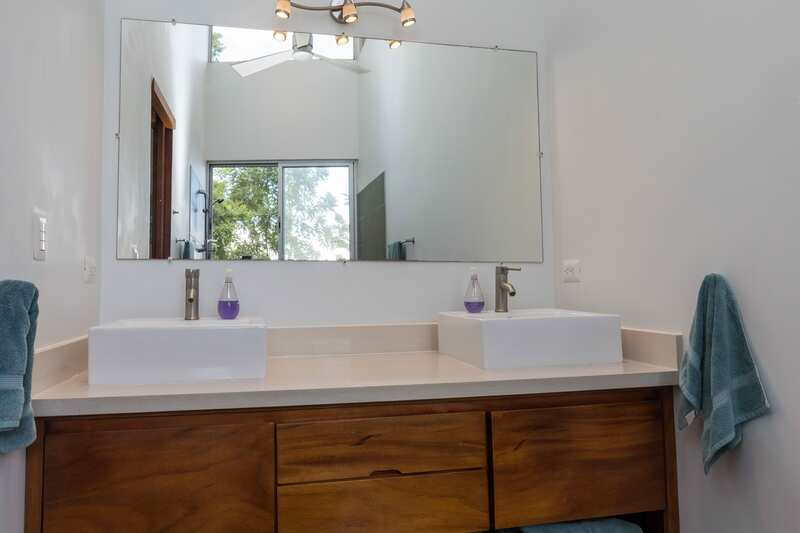 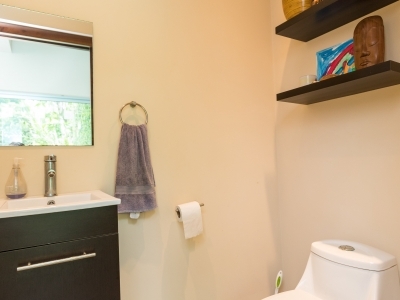 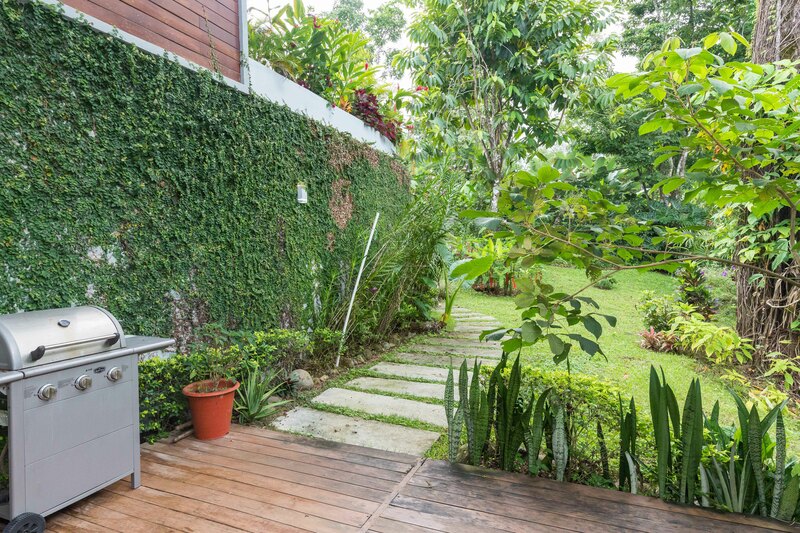 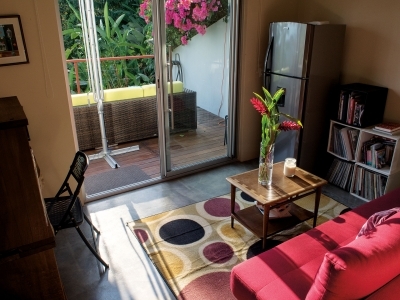 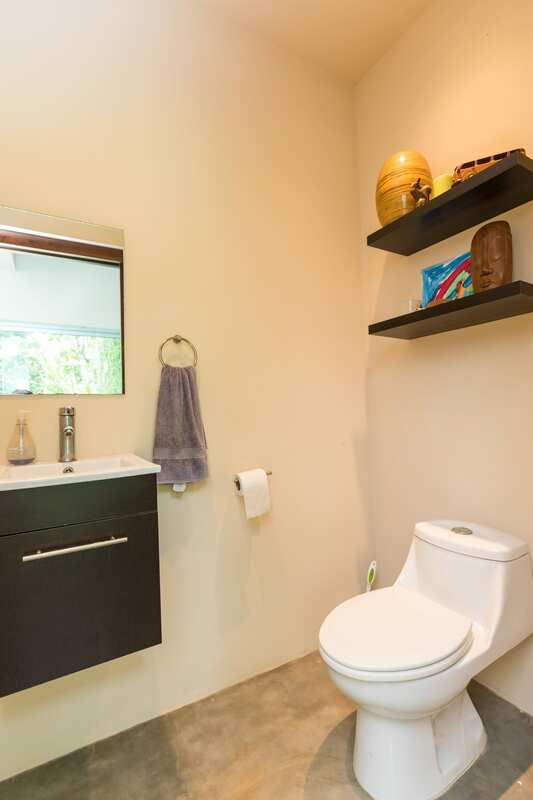 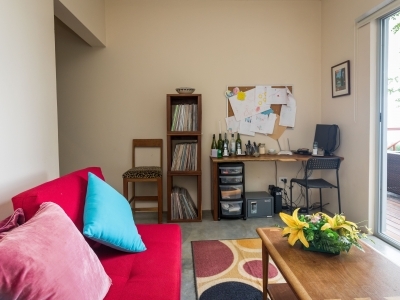 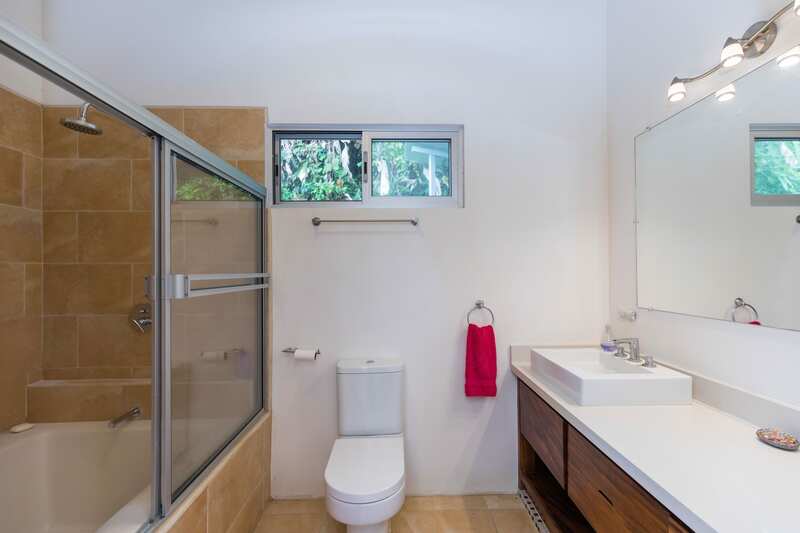 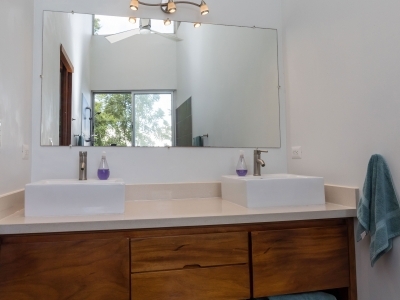 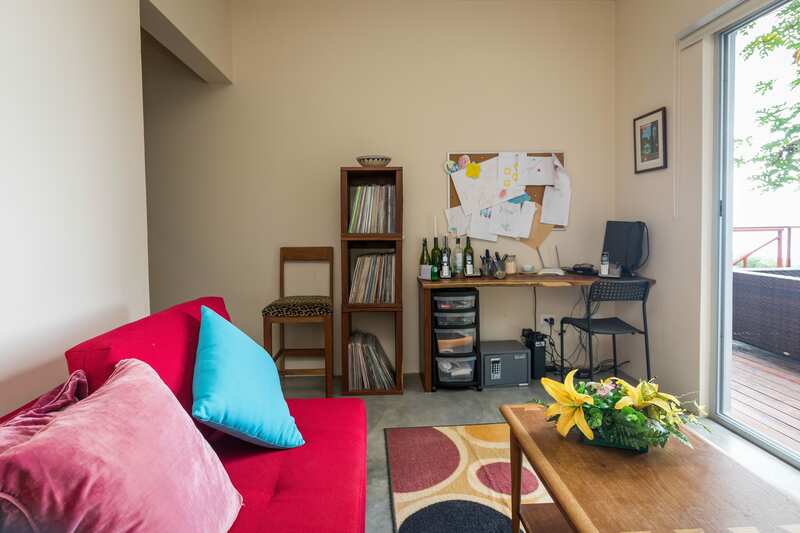 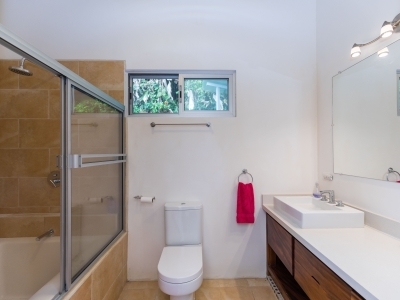 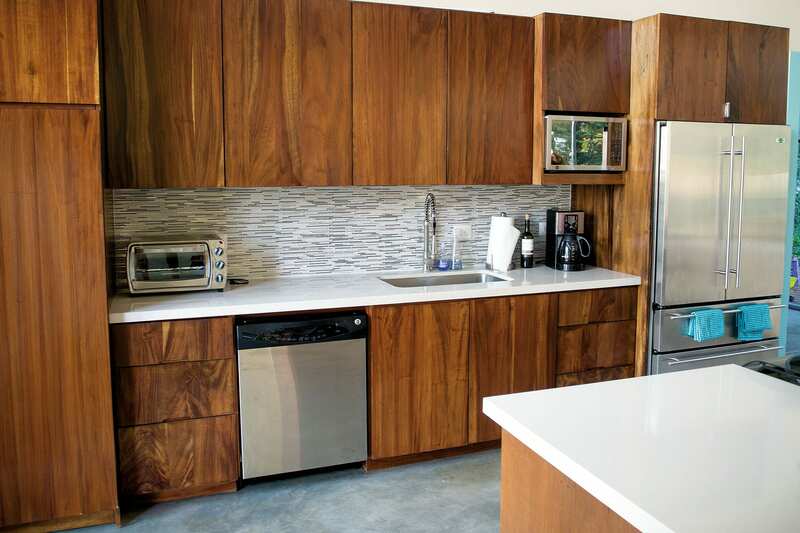 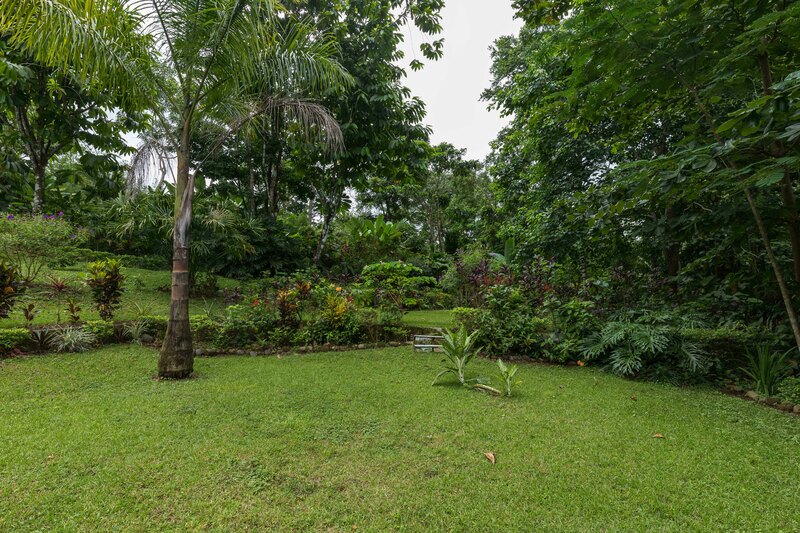 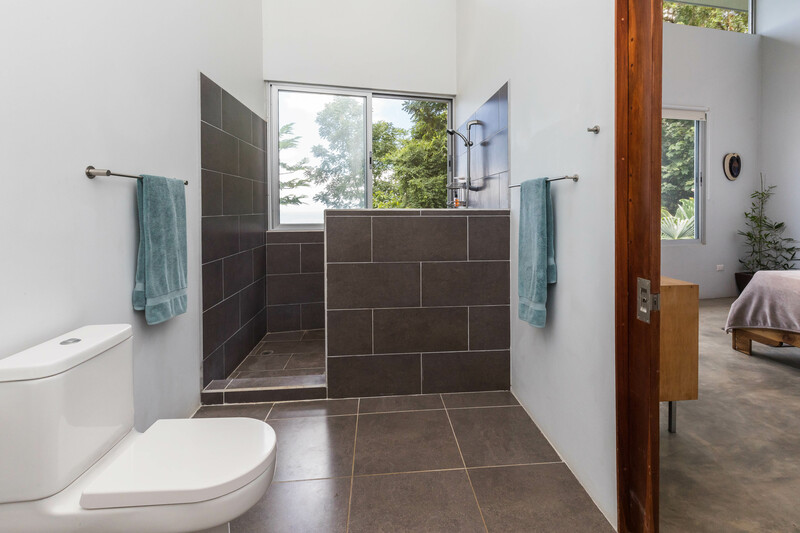 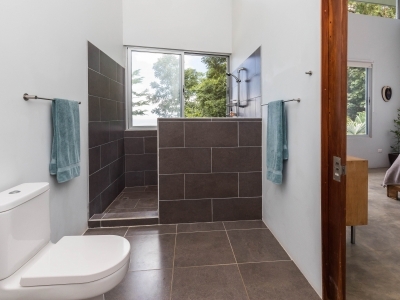 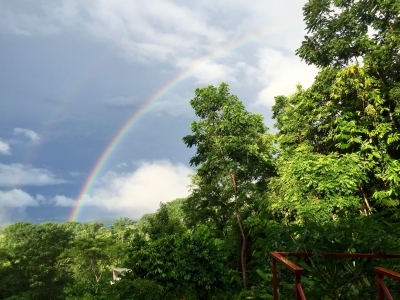 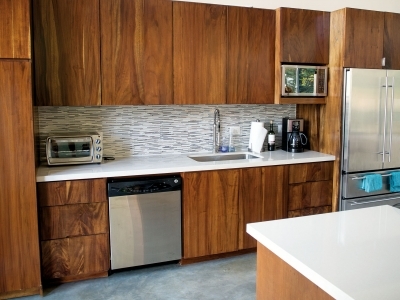 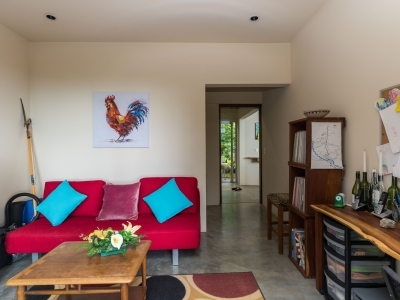 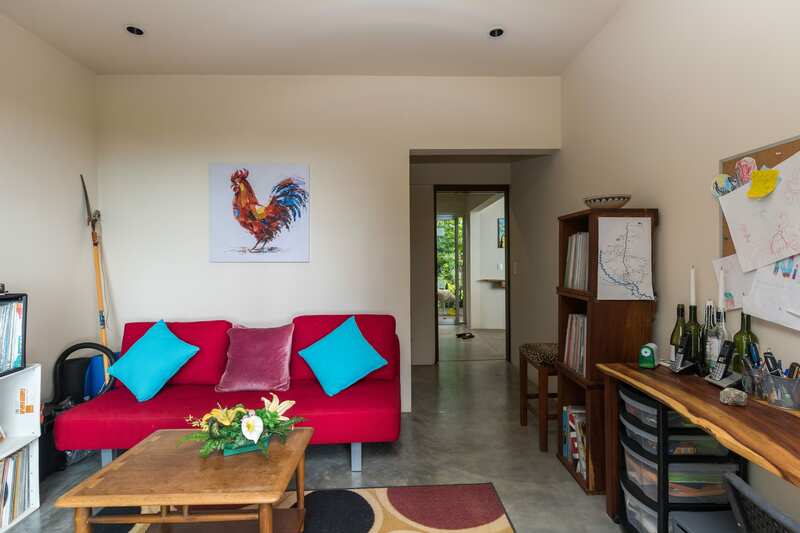 Although the house is located conveniently close to the amenities of town, its setting is blissfully peaceful and private, surrounded by trees, tropical flowering plants, and abundant wildlife. 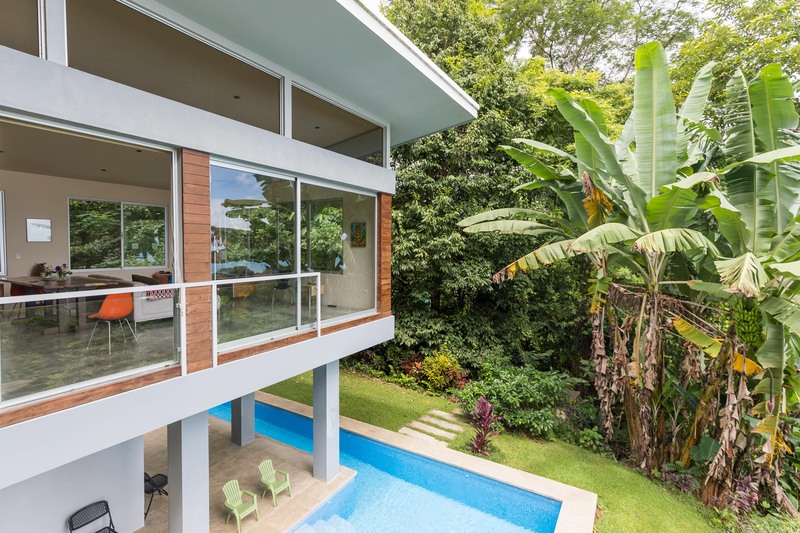 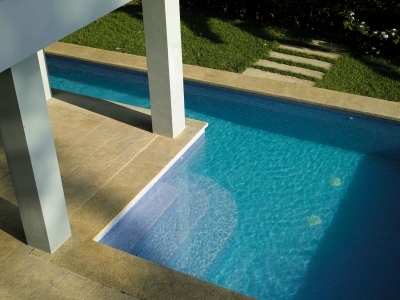 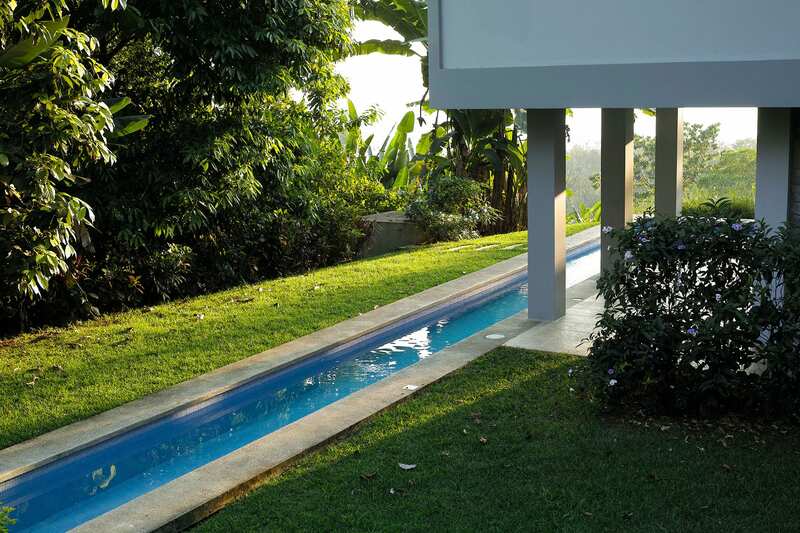 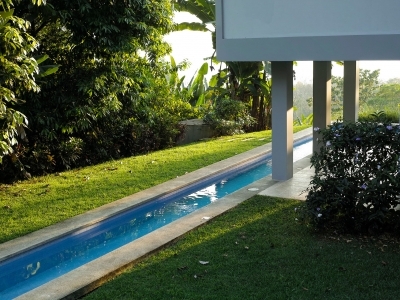 Outside of the house and below the cantilevered great room, accessed by the gently spiraling and floating staircase, you can spend your time wandering the lush gardens, relaxing on the deck, or swimming laps in the 18m long pool. 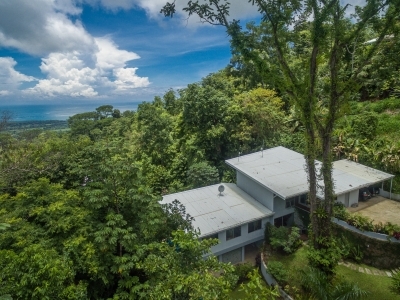 The property is second to none in terms of the size of its relatively flat lawn, particularly in the hills overlooking the Whale’s Tail. 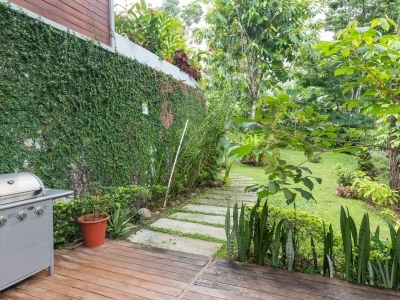 It is private, bursting with colorful flowering plants, and great for kids to play. The yard is big enough that you could build a guest or caretaker’s house on the property and still have plenty of room to spare.